Commuters were left stranded this morning after trains between Preston and Manchester were disrupted by points failure. The disruption left passengers bereft of services between Preston and Manchester between 7.30am until 9.30am. All services to Manchter Victoria were scrapped until 9.30am and the 9.06am Manchester Airport service was also cancelled. Other train services departing from Preston, including journeys to Manchester Airport, Blackpool North and Glasgow Central have also been affected. Regular services appear to be resuming with the 10.06am service to Manchester Airport currently scheduled to arrive on time. 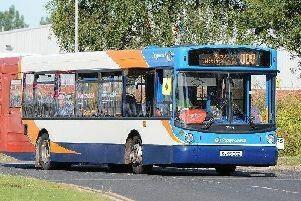 Severe delays included the 7.48am service to Blackpool North, which arrived 79 minutes late at 9.07am. The 8.03am service to Glasgow Central also ran 58 minutes late, arriving at 9.01am. The 8.06am rush hour service to Manchester Airport was cancelled, resulting in overcrowding on the 8.24am service. Passengers who could not board the service due to lack of capacity had to wait for the 8.45am train. According to the National Rail website the disruption is expected to continue through morning rush hour until at least 9.30am. The points failure has occurred between Patricroft and Newton-Le-Willows. The disruption affected all rail providers departing from Preston, including Transpennine Express, Northern and Transport for Wales trains. National Rail advised passengers to use tickets for the affected Northern services on available Transpennine Express services.